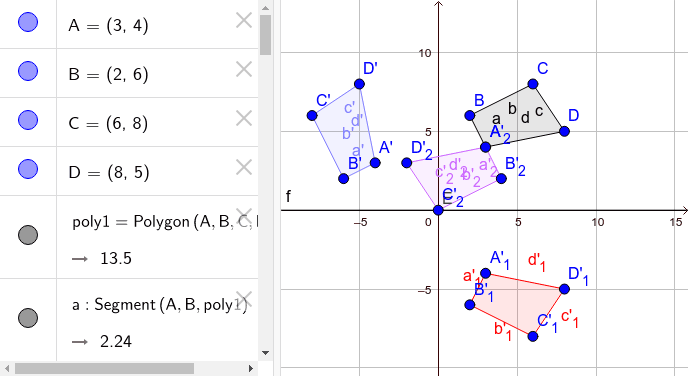 Using the graph, and given that the pre-image is polygon ABCD, answer the following questions. BLUE FIGURE 1. What kind of transformation is this? 2. What rule/line is used to make this transformation work? RED FIGURE 1. What kind of transformation is this? 2. What rule/line is used to make this transformation work? PURPLE FIGURE 1. What kind of transformation is this? 2. What rule/line is used to make this transformation work?